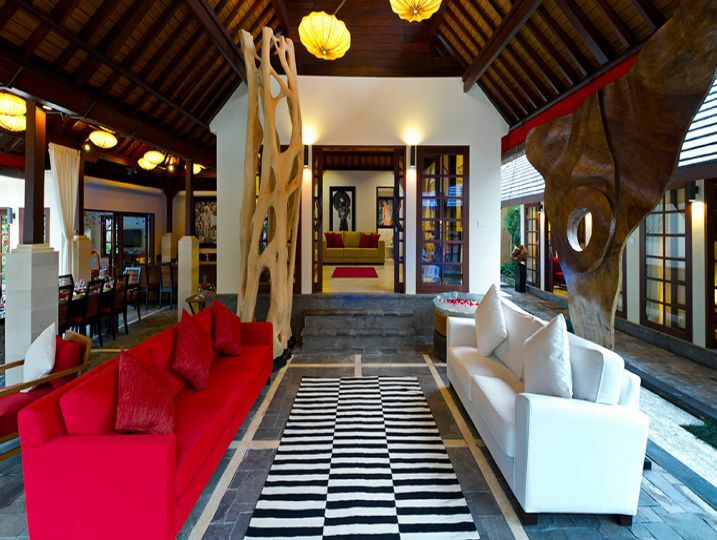 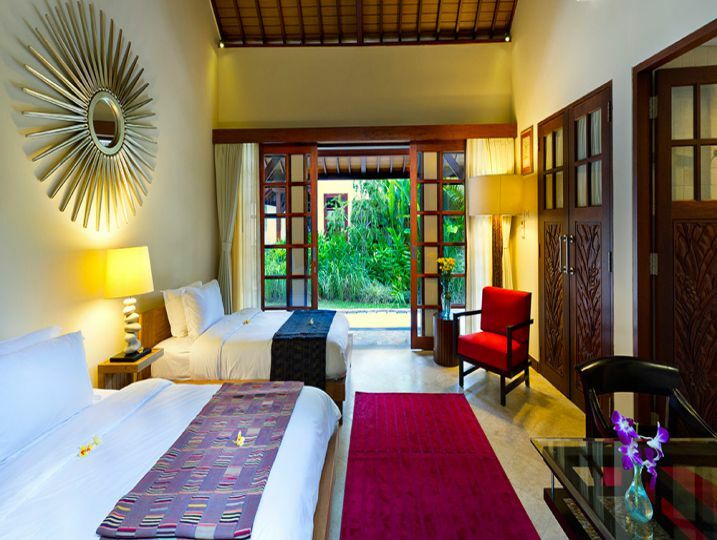 In Bali’s spiritual heart of Ubud, lies the private and serene Villa San. 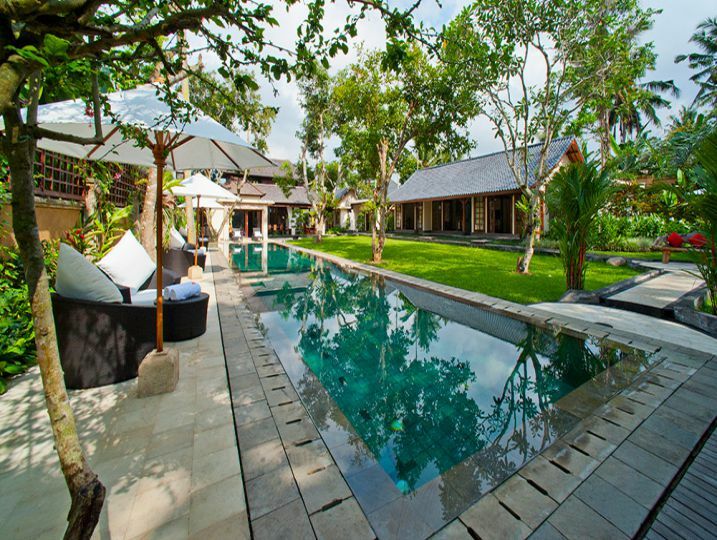 This six-bedroom luxury villa accommodates up to twelve people set across lush gardens that centre around a 25m lap pool and incorporate elegant sculptures and a tranquil meditation terrace. 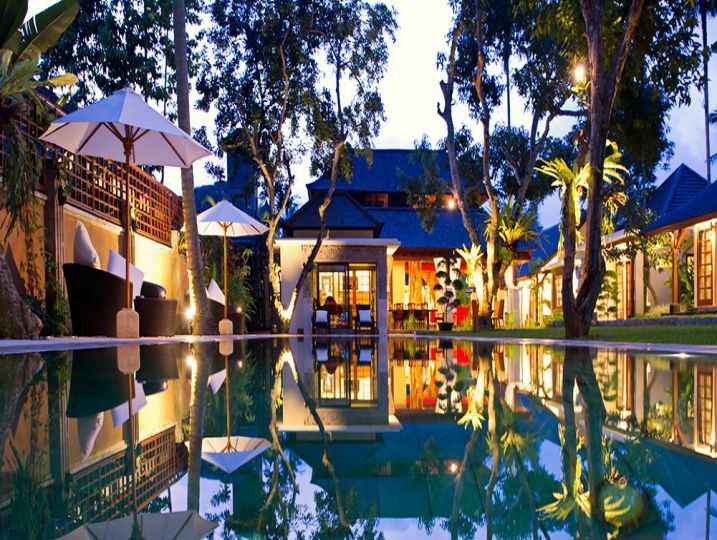 Showcasing an impressive array of artworks and handicrafts originating from China, Africa and Indonesia, Villa San is only minutes from sensational shopping, superb spas, classic cultural performances and luxuriant rice fields. 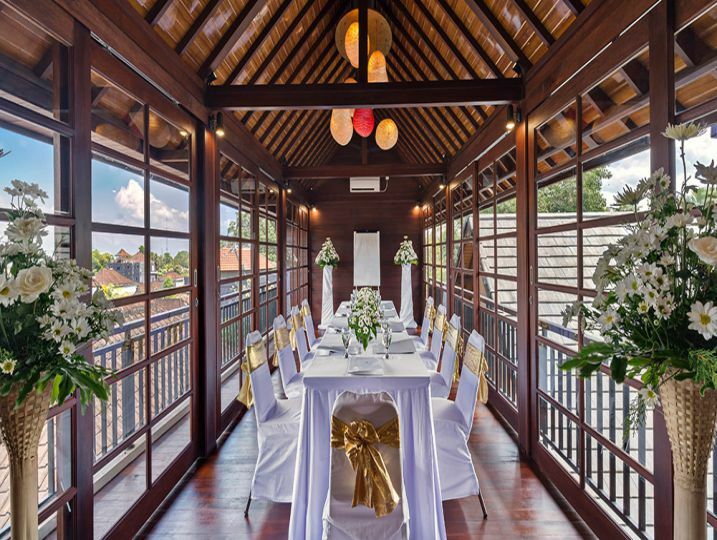 The spacious grounds of this Ubud retreat offer freedom and flexibility for both families and large groups sharing, with hammocks and sun loungers arranged around the 25m x 5m pool and a pool pavilion seating up to 15 people. 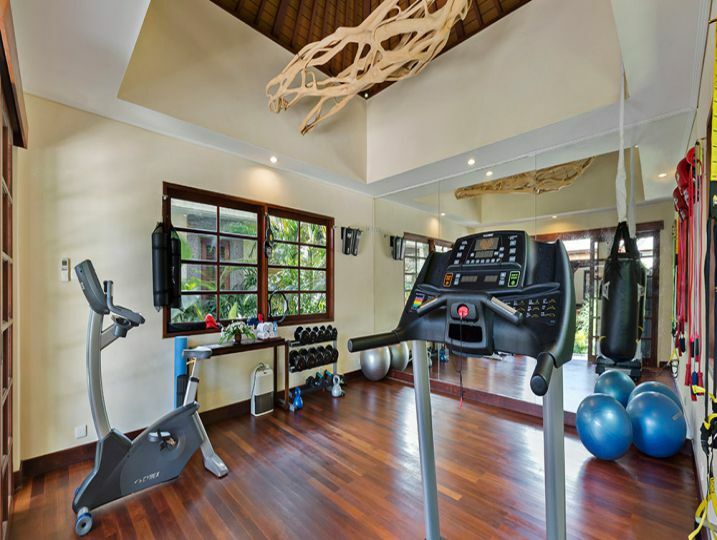 Inside, as well as the living and dining spaces, there are two well-equipped entertainment rooms, a gym and a children’s playroom. 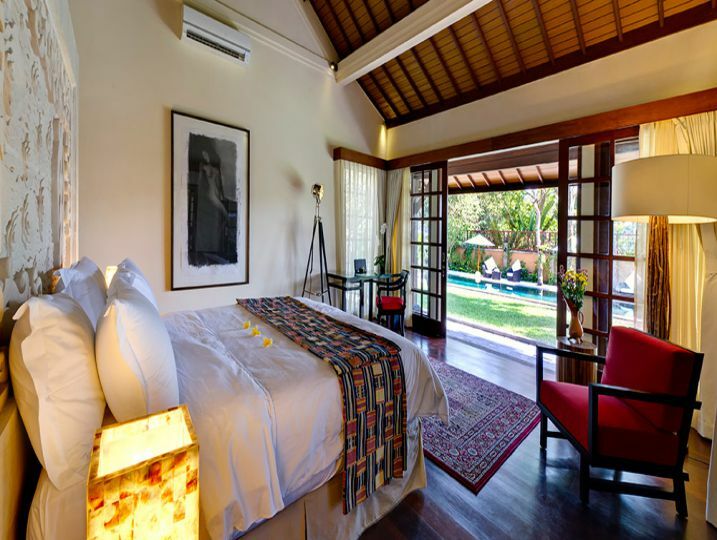 French doors from all of Villa San’s six large bedrooms – three king bedded and three twins – look out over tranquil gardens, only steps away from the long sloping lawn and the inviting pool. 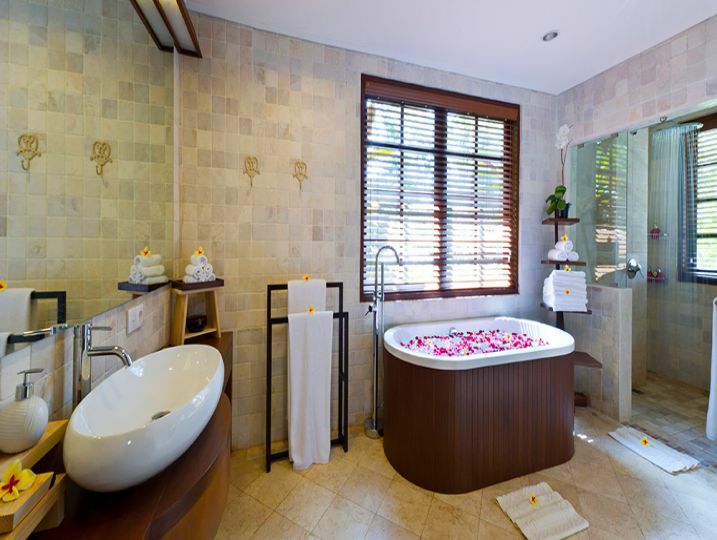 Guests at Villa San are spoiled for choice when it comes to ways to relax. 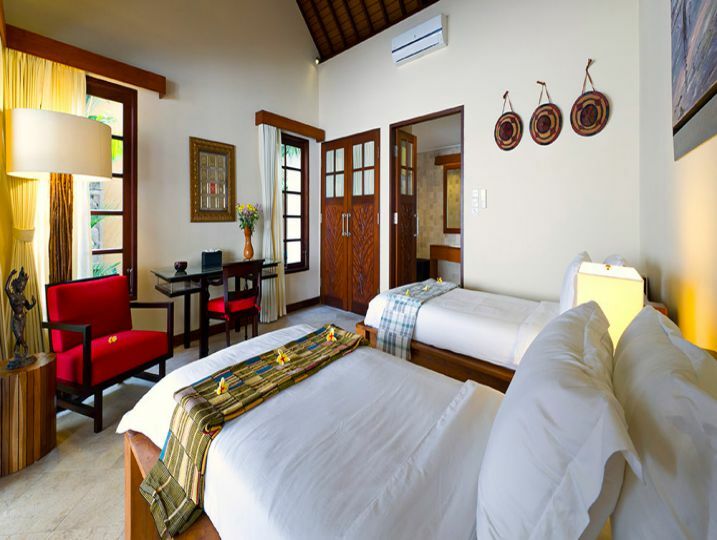 Reflecting the owners’ artistic and spiritual leanings, there’s the loft studio for painting, a telescope for star-gazing from the function room at night, and a Buddhist stupa and yoga terrace tucked in a quiet corner of the property for group or individual meditation and yoga practice. 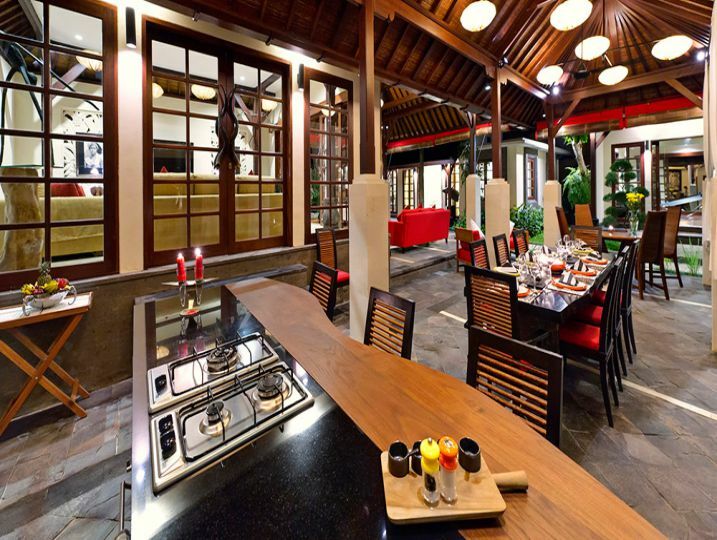 A friendly, helpful team of staff are on hand around the clock, with a butler and chef available to meet every request. 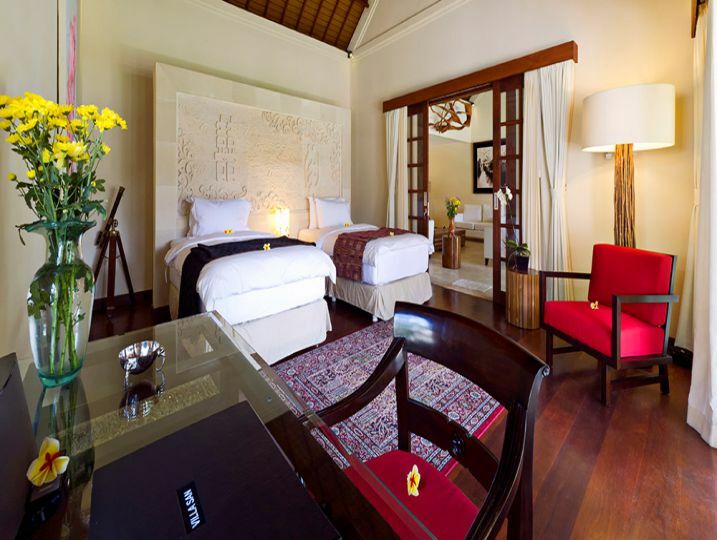 They are knowledgeable about the local Hindu culture, art galleries and the many options for exploring and learning about the region and will recommend the best of local restaurants, cafés and spas. 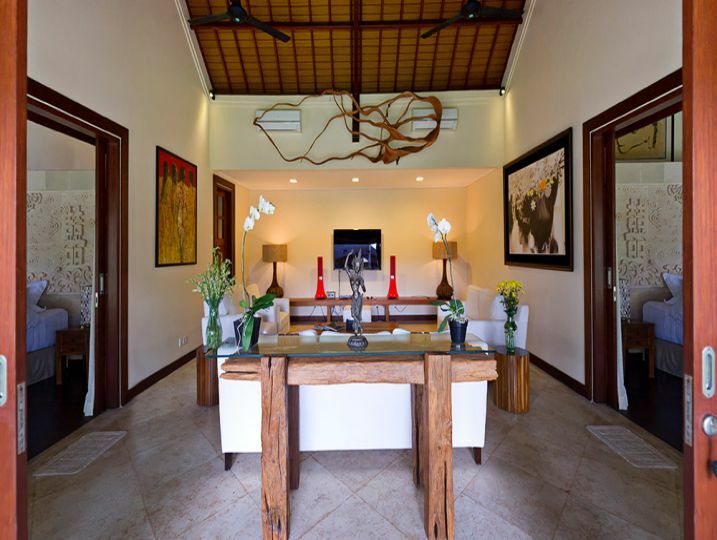 Villa San – 4 Bedroom is available for selected dates.